The average cost of memory care in Athens is $4,387 per month. This is lower than the national median of $4,655. Cheaper nearby regions include Loudon with an average starting cost of $2,685. Part of the Chattanooga, Cleveland and Athens combined statistical area, Athens is a small, quiet community that is home to 13,615 people, 18 percent of whom are 65 years and older. The city is also home to some of the 120,000 seniors in Tennessee who have been diagnosed with Alzheimer’s disease or dementia. Because the state does not have a standard income tax, all forms of retirement income go untaxed. This saves seniors hundreds of dollars in taxes each year, which is ideal for those who need to pay for memory care housing. Athens has two memory care facilities, and both allow their residents to live in one place as their care needs change. 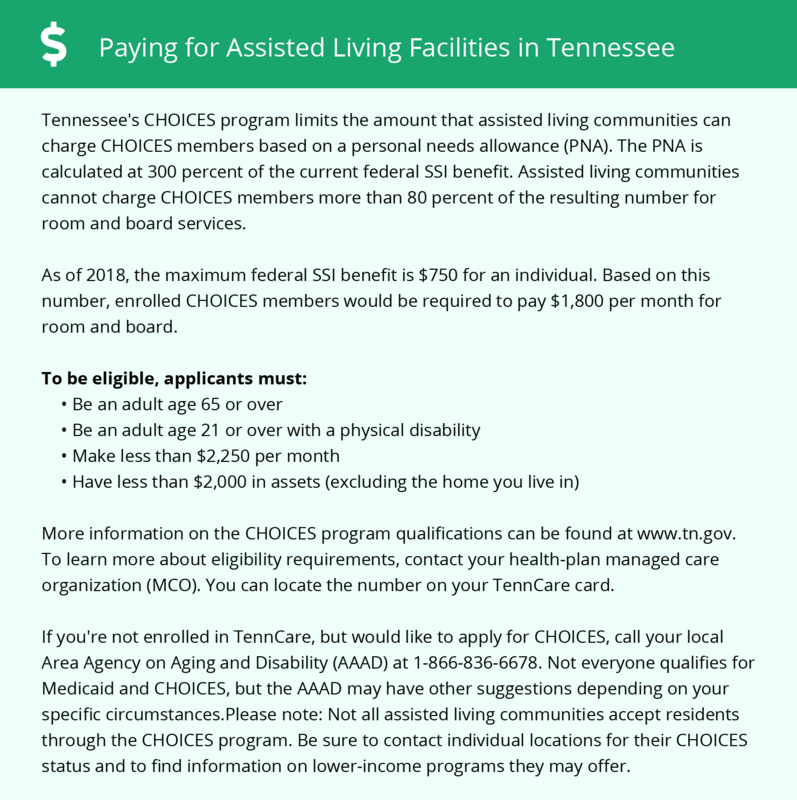 Regulated by the Tennessee Department of Health, there are two types of communities that provide care for those with Alzheimer’s disease or dementia: Assisted Care Living Facilities and Residential Homes for the Aged. The city of Athens is home to world-class medical facilities, including those specializing in brain health and dementia care such as the Starr Regional Medical Center, in the event of a medical emergency or illness. The overall crime rate in Athens is 180 percent higher than the national average. This may cause concern for family members who have a loved one living in a memory care facility within the city limits. People living in the area have a one in 14 chance of becoming a victim of any type of crime. The cost of living in Athens is 84.1, which is lower than the state average of 96 and the national average of 100. Seniors and their families living on a tight budget may find it challenging to pay for memory care in addition to other daily living expenses. Seniors who are tired of cold, wet winters may find the climate in Tennessee to be accommodating. Average July highs are around 88 degrees Fahrenheit, while January lows are around 27 degrees. The city gets about four inches of snow per year and 55 inches of rain. Memory Care costs in Athens start around $4,387 per month on average, while the nationwide average cost of memory care is $4,798 per month. To see a list of free memory care resources in Athens, please visit our Assisted Living in Tennessee page. Athens-area assisted living communities must adhere to the comprehensive set of state laws and regulations that all assisted living communities in Tennessee are required to follow. Visit our Memory Care in Tennessee page for more information about these laws.